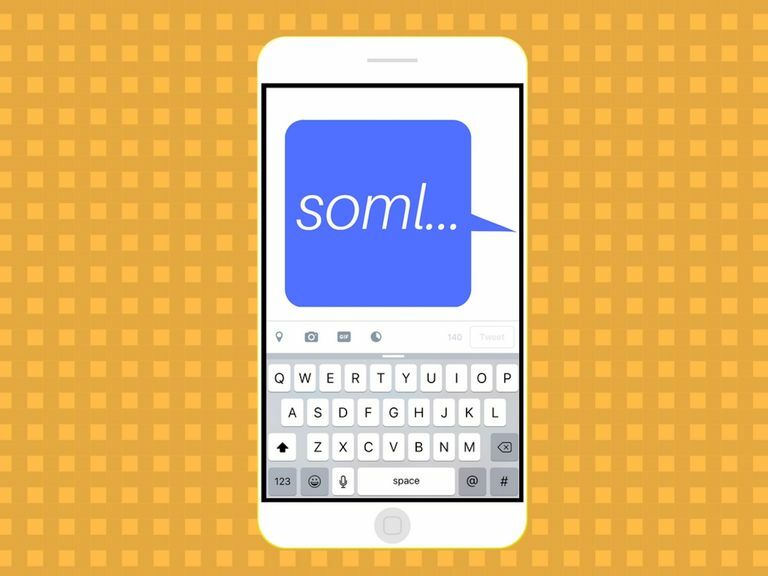 Are you seeing SOML left in comments on social media or sent to you as a reply to one of your text messages? It's virtually unrecognizable in acronym form, but these four letters actually represent a very popular catchphrase. SOML stands for Story Of My Life. SOML is often used as a reply to another person or as a comment following a statement. Friend #1: "Srsly haven't done laundry in like 5 weeks. My life is a mess." In the first example above, Friend #2 uses SOML as a standalone reply to relate to Friend #1's situation, helping them to express that they also go long stretches without doing any laundry themselves. In this case, Friend #1 feels that nothing else needs to be said. Friend #1: "Didn't make it to class this morning. Honestly can't stop sleeping in these days, my sleep routine is totally backwards... what did I miss?" Friend #2: "SOML... I didn't go either. I'll ask Chris." If you want to add SOML to your own acronym vocabulary, make sure you limit its use for when you want to relate to another person's negative life events—not their positive ones. SOML is an expression of empathy, which is what people are seeking from their friends and relatives when they decide to share their negative experiences. If you use SOML in response to somebody's positive life experience, you're not giving them the appreciation or recognition they're really looking for. Instead, you might sound like you're trying to compete with or one-up them by declaring that you, too, have experienced similar successes. What in the World Does IYKWIM Mean?